There are times when you do not want to be cooling or heating your entire home. For example, while you are sleeping, you may prefer to cool or heat only the room in which you sleep rather than your entire house. Some people think that closing the vents in the rooms that are unoccupied or not used frequently will do the trick. However, Sugar Land air conditioning service professionals would tell you that this solution is counterproductive because the system blows harder to try to condition the rooms where the vents have been closed. Air can also be forced back into the system, and the increased air pressure can cause leaks in the ductwork. 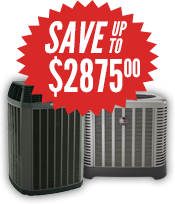 The air can also cause A/C units to freeze up and furnaces to overheat. Plus, your HVAC system has to work harder, which will make it noisier and less efficient. It is a better idea to check into so-called “smart” products if you want to curtail energy use and lower your utility bills. This new technology can also reduce the workload of your air conditioning system and eliminate the need for a Sugar Land HVAC repair. Smart vents are a modern twist on the closed-vent concept. These vents are connected to a central nesting app. They detect when a room is being used and when it is not. The vents close when the room is unoccupied. However, the same problems arise from having closed vents because the HVAC system is intended to keep the entire home comfortable. 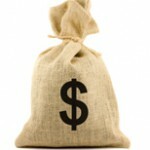 All Out A/C and Heating recommends installing a whole-home zoning system. This type of system works with your HVAC equipment and does not cause extra strain by closing vents. A network of thermostats and dampers are controlled by a zoning panel, which allows you to control your home’s rooms independently. Dampers in the ductwork control the flow of air to various rooms. This prevents a pressure buildup and will reduce the likelihood of a Sugar Land heating repair. Programmable thermostats are another type of smart device that can conserve energy and keep your home comfortable. Having a few smart thermostats strategically positioned throughout your home lets you set up separate on/off schedules for those areas. It is also important to change the settings with the seasons. 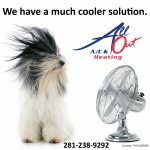 If you would like to discuss zoning options for your house, call All Out A/C and Heating at 281-238-9292. One of our technicians will visit your home and inspect your current system. We can help you decide what type of zoning is right for you.